BaitRageous: Troutmanizer Number 2, always tempted ! 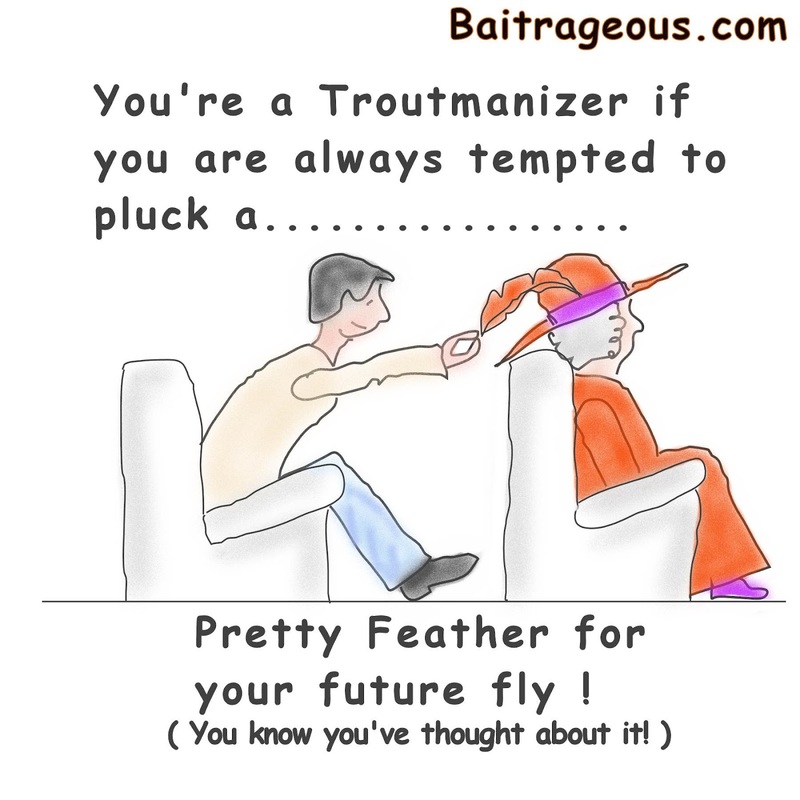 Here is Troutmanizer Number 2, of the Top Ten Signs that you are a Troutmanizer! Also from the Troutmanizer no. 3, I have learned that everyone who has fished for a while has a story about being hooked in a body part. So the post below I tell my story from a past fishing trip. 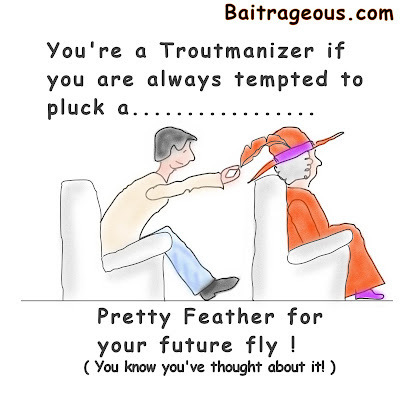 COMING SOON, Troutmanizer number 10, the last "Top ten signs that you're a Troumanizer. Have a great Easter! Thanks for the comment, glad you enjoyed!